This year, set off on an adventure in a winter wonderland. Whether you want to hit the slopes or catch some rays on a sandy beach, the U.S. is packed with amazing places to visit in December, January and February. These winter vacation ideas make excellent choices for family vacations, romantic getaways or winter breaks with a few friends. If skiing or snowboarding is your calling, Breckenridge is one of the best places to visit in December, January and February. 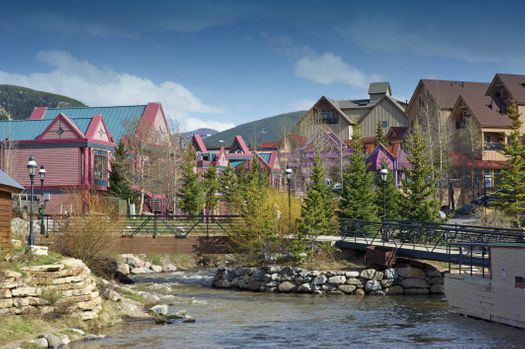 The resort includes runs for all levels and boasts lots of different accommodation options ranging from hotel rooms to cabin rentals, offering fun for everyone. Tahoe is famous for its ski resorts, but it has a lot more to offer than Heavenly Mountain and Mt. Rose. During the winter months, you can go skating in outdoor rinks or enjoy a steamboat ride. If you’re looking for some nighttime entertainment, the Nevada side of the lake is home to some excellent restaurants and casinos. If going on a dogsled ride is on your bucket list, look no further than Anchorage. The city also offers a whole host of unique winter activities. Stay up late and watch the Northern Lights dance across the sky. Lace up your boots and go on a glacier hiking tour. Check out the Running of the Reindeer at the Fur Rendezvous festival, which runs from late February to early March. To get some European charm without leaving the continent, head over the border to Quebec City. This Canadian city is stunning in the winter, and it hosts back-to-back festivals from December to February. Enjoy historic buildings as you skate outdoors or stroll through the city streets. 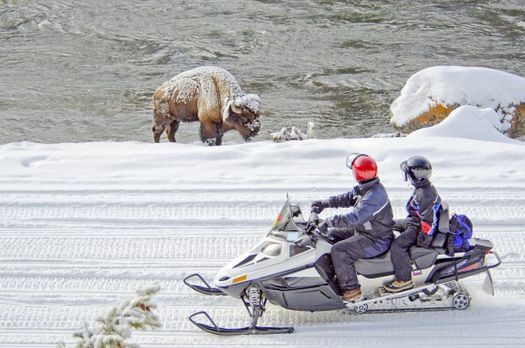 Yellowstone is a fantastic place to visit year-round, but it’s especially spectacular in the winter. Cool temperatures give the geysers and hot springs extra steam, and the snow-topped Wyoming forests are straight out of a postcard. Plus, the park has fewer visitors when the weather gets cold, so you won’t have to beat the crowds to get a glimpse of Old Faithful. 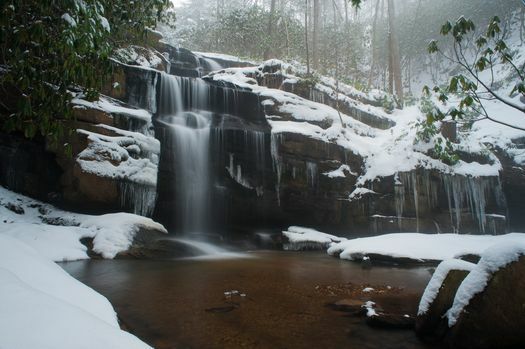 The Blue Ridge Mountains are a place of beauty, and they offer lots to see and do when the weather gets cold. Many of the trails around Asheville are still accessible in winter, so you can go for a hike and enjoy the frozen winter scenery in relative solitude. If you want to get in a few ski runs, Wolf Ridge Ski Resort is just a 40-minute drive away. Jackson, Wyoming is an ideal place to rent a cabin and enjoy the pristine beauty of the outdoors. 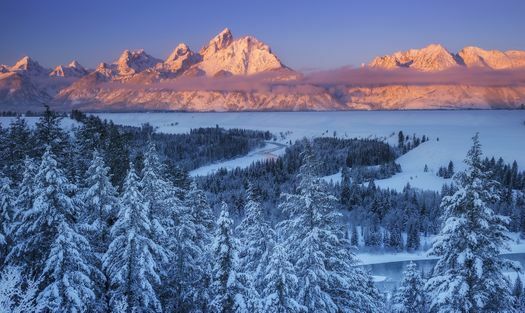 The area around the city boasts three ski resorts, including Jackson Hole Mountain Resort, Snow King and Grand Targhee Resort. If skiing and snowboarding aren’t your style, give snowshoeing, snowmobiling or sledding a try. 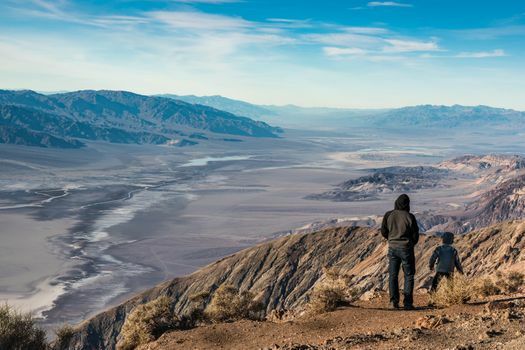 With temperatures that could easily fry an egg on a rock in the middle of the afternoon, Death Valley National Park can be unbearable in the warmer months. However, when winter rolls around, temperatures drop down to a comfortable range. Enjoy camping in the desert and hiking through the badlands when it’s too cold to hit the trails at home. 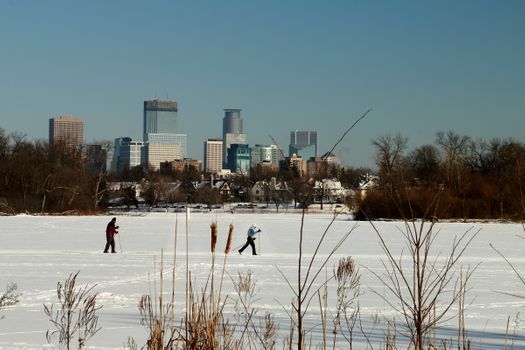 Minnesota is famous for its sub-zero winter temperatures, but instead of trying to escape the cold, the residents of Minneapolis embrace it. The city is home to a winter carnival called Great Northern, which offers fun and games for the whole family. In addition, it’s a wonderful place to try out cross-country skiing and outdoor skating. If you’d rather beat the cold and spend your winter vacation basking in the sun, Hawaii is one of the best winter vacations in the US. The state offers plenty of sun and warm weather, even when most of the country experiences freezing temperatures. A light jacket is enough to keep you warm on cooler nights.